Halloween is creepily close! Check out the horrifying list of events, parties and restaurants for a terror-fic weekend. It’s that time of year again! Once, every autumn, the unwritten rules of what are and are not socially acceptable practices in day-to-day life are tossed aside; we are allowed, for one night only, to wear whatever our hearts desire and tailor our behaviour to suit our chosen characters accordingly. We are given free reign to wander around the streets of LKF, half-drunk with a pumpkin spice latte in hand and knock on our neighbour’s door shamelessly for sweets. If you have never been to Ocean Park for the Halloween Fest, you are definitely missing out. The activities range from haunted houses, perfect for family fun, to intensive thrills for the older attendees. We promise you that you will have an unforgettable night, especially with the guarantee of their scariest haunted house in 14 years. If that’s not enough, then try out H14: the most intense journey you will ever go on. It will last for 15 minutes and will stimulate all your senses. 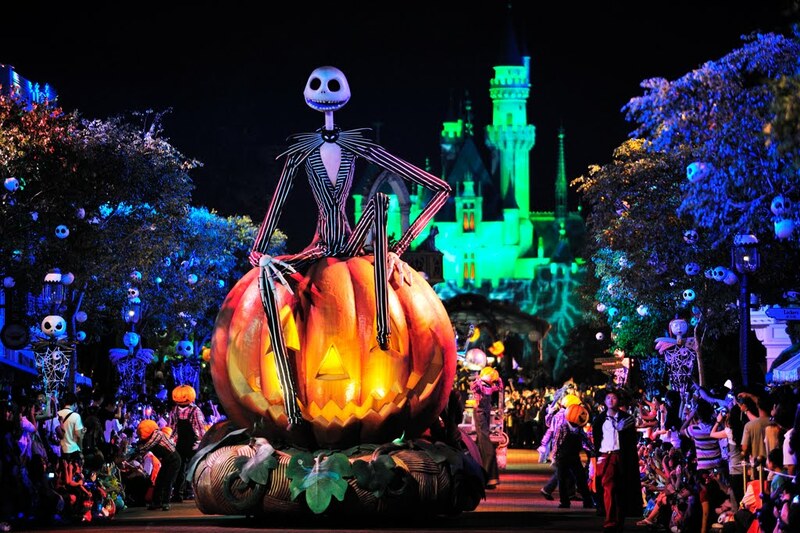 If you would like to enjoy a magical Halloween night surrounded by much loved characters like Jack Skellington and Baby Face while sipping on a Devil’s Eye at Tahitian Terrace and watching Disney’s new and spectacular Paint the Night Parade, then the Disney Haunted Halloween is perfect for you! 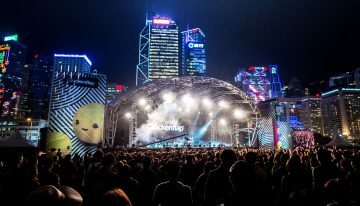 If you think you can handle the the haunted houses of Disneyland and Ocean Park, you should consider visiting the Vegas import Fright Dome at the highest point in Hong Kong – the Peak. We can guarantee you that you will leave shaking from these two haunted houses: Texas Chainsaw Massacre and Killer Klowns (in 4D). My fondest trick or treat memory is at Hong Lok Yuen where I dressed up as a demon and knocked on every door of every house in my search for candy. If you are lucky, you might run into crazy rebels who throw eggs at houses inhabited by people who are simply not generous enough to offer anything for kids. 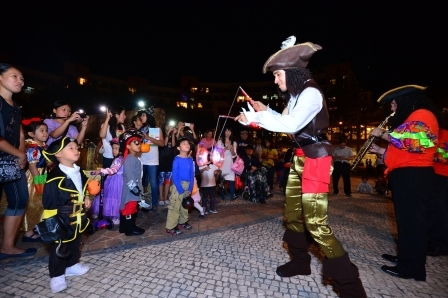 It is unfortunate that there won’t be any Discovery Bay Halloween Carnival this year but I am sure that DB will still be very festive with tonnes of kids dressing up and coming together to go trick or treating. In the spirit of Halloween, The Butchers Club will transform their 7,000 square foot rooftop in Wong Chuk Hang into a pop up, Sweeny-Todd style steak house. 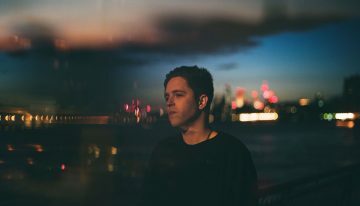 The $1,250 fee includes a mouth watering 5-course menu comprised of freshly shucked oysters, handcrafted charcuterie, dry-aged rib-eye steaks served with salad and duck-fat fries, finished with a cheese platter and New York cheesecake. Frights AND food; how could you resist? 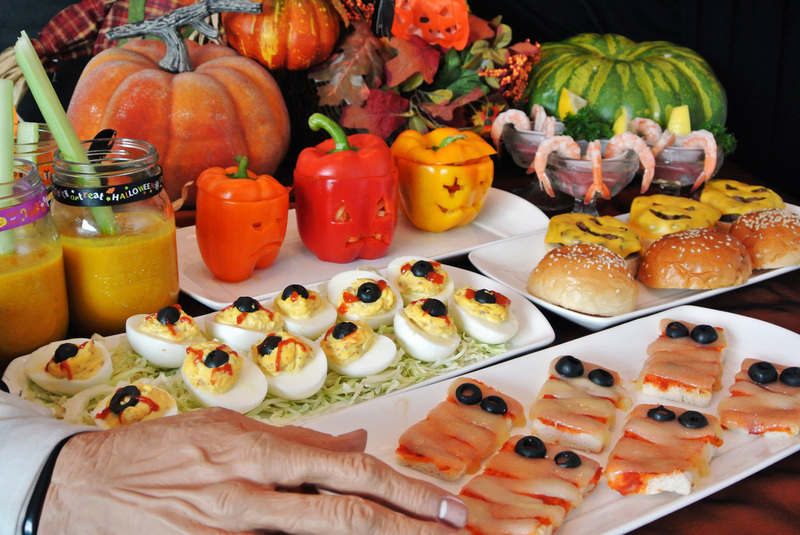 The Halloween Spooky Dinner is a mini-buffet which is only available on October 31st. It includes a variety of appetizers, reminiscent of the gothic, including devil’s eyeballs, cheesy ghost burgers and bloody shrimp. Ofavorite Western restaurant chains Amaroni’s, Dan Ryan’s and LUCQUES tavern will celebrate Halloween with their delicious pumpkin patch menu. 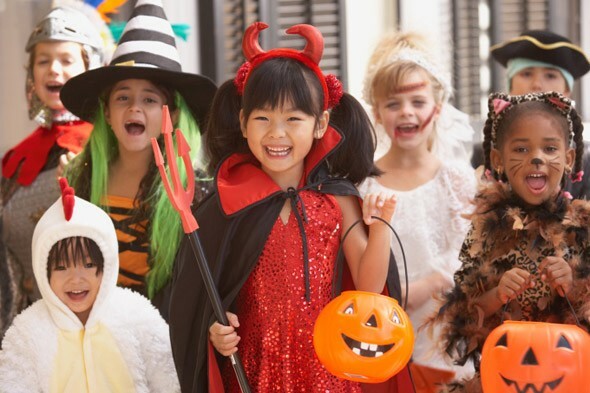 Amaroni’s Little Italy will even offer a 10% discount if you dine-in on October 31st, as long as you wear your costume. 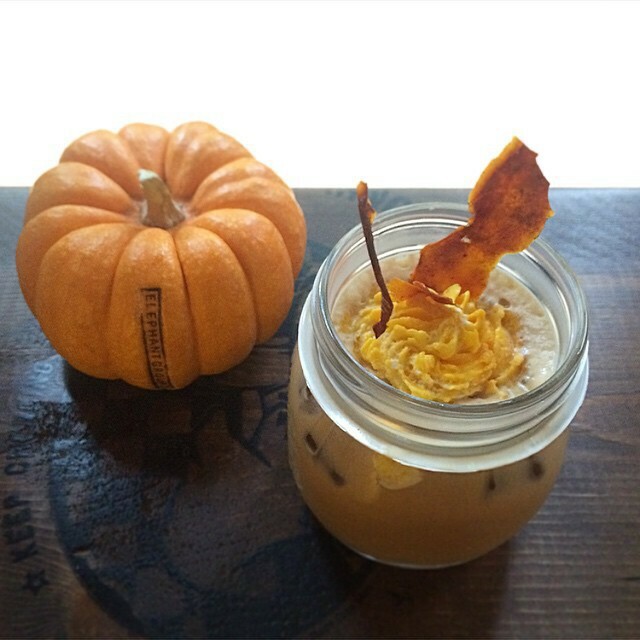 Celebrate the festival by indulging in the secret Halloween specials at the Elephant Grounds. My personal favourite it the Pumpkin Spice Latter with purée – perfect on a cool Autumn day. 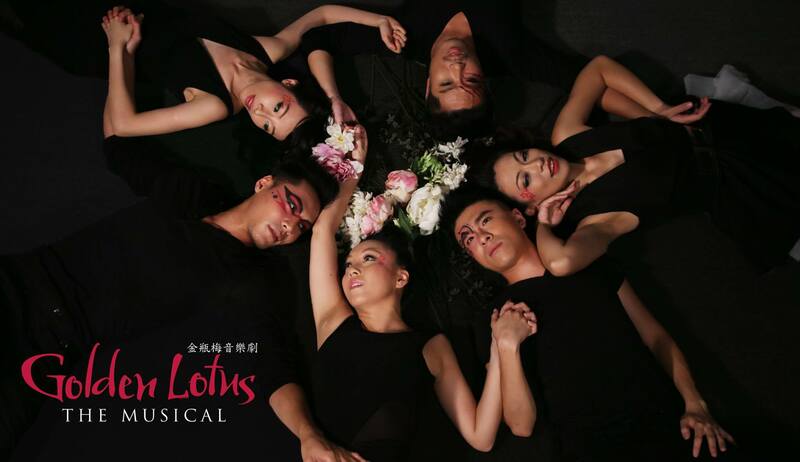 Everyone knows that LKF is the place to be if you’re looking for a wild Halloween party! It’s Alive Not Dead’s 7th annual Halloween party, which will not only celebrate the film launch of “Zombie Fight Club”, but will also feature local and international celebrities including Jessica C, Andy On and DJ duo “The Zombettes”. One of America’s biggest and best DJ’s, Morgan Page, who has also played at Coachella, EDC and Ultra, will headline the party so it will definitely be worth catching! The theme is dead celebrities so don’t be surprised to see a Marilyn Monroe or two throughout the night, along with a host of other deceased icons. 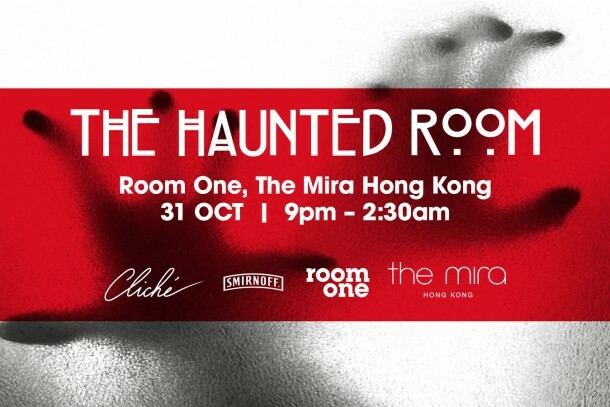 If you would like to party till dawn while enjoying many irresistible blood-themed cocktails, then come to the THE HAUNTED ROOM and dance All Hallow’s Eve in to the morning!